TEMMA is a health food store chain which sets value on high-quality and regional products. As a part of REWE Group since 2009 TEMMA offers its customers organic gourmet food – following the slogan „everything is natural“. In the overall nine markets in Hamburg, Köln, Düsseldorf, Berlin, Frankfurt and Bad Homburg the customers can expect a large offer of local products as well as international specialities. Besides the natural food all TEMMA markets include a „Deli & Café“ area where customers can relax and enjoy fresh panini, quiche or salads. 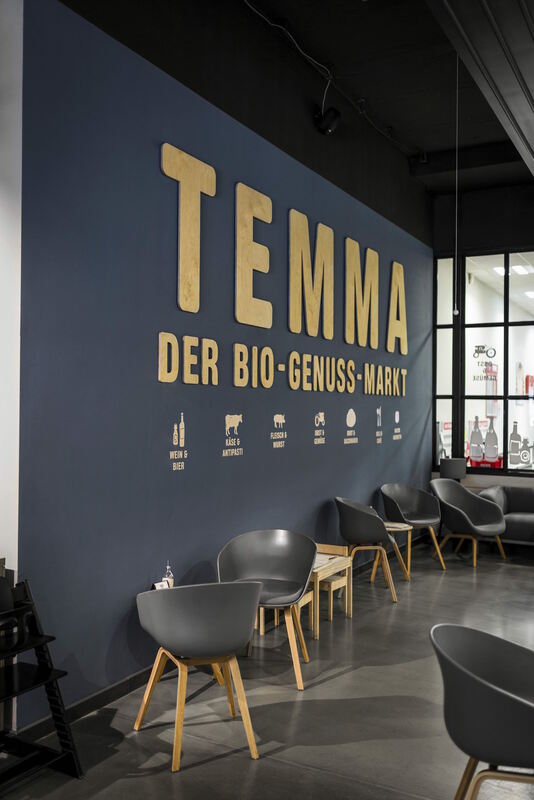 Since 2016, hesse und hallermann is responsible for handling corporate and event PR for the TEMMA supermarkets located in Hamburg-Eppendorf and Hamburg-Blankenese.